Pop-up Marketing and Capture Attention wherever you go! Are you off to a last minute event where you’d love to make a bigger impact – or looking to promote your products or service in a big way? 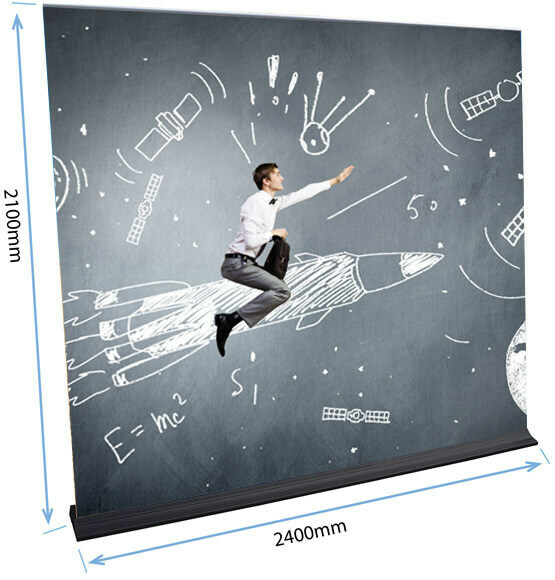 Then our same day Retractable (Pull-UP) Banners might be just what your looking for your next Conference, Trade Show, Exhibition, In-Store Promotion, Seminar or even Company Presentation. 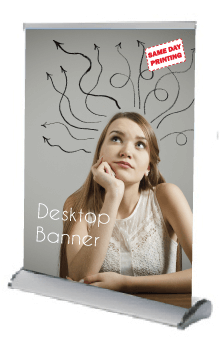 Pop-up banners are an awesome portable marketing solution that will not only help you increase your brand awareness your retractable banner should help you generate more leads. No design ready to go? Speak with one of our friendly and quality graphic design team members who will help ensure your pull up banner will be not only eye catching and colourful but also effective. After all we don't believe in form over function. Your pull up banner is their to help you create more awareness and ultimately generate more sales. * Classic Single-Sided Pull Up Banners is only available in 850x2000mm for black base.